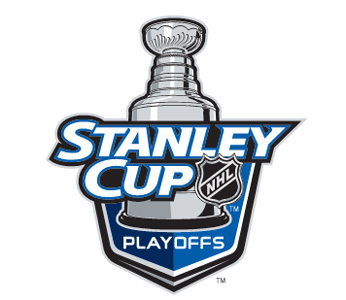 It's just about that time hockey fans, the NHL 2011-12 season is just about to begin. The Boston Bruins are the reigning Stanley Cup Champions, do I think they will repeat or will we see someone else hold up Lord Stanley's Cup? Here's my 2011-12 season preview. The regular season dominance will continue for the Caps. Alexander Ovechkin is the clear star of the show in our nation's capital but Nicklas Backstrom and Alex Semin are pretty darn good as well. And I love the acquisition of veteran goalie Tomas Vokoun and I think the 35 year old still has some left in the tank as he was solid last year in Florida. The key, of course, in the Steel City is if Sidney Crosby will play. I would be surprised if he missed the entire season and I think at the very least he will play half the year. Losing a player like Crosby is a crushing blow but the Pens still ended with 49 wins with him, Evgeni Malkin and Jordan Staal all out at various times of the year but we d know Malkin and Staal will play. But the defensive backline is very strong and carried this team down the stretch and goalie Marc-Andre Fleury is a star so this team is in good shape and if Crosby can go for most of the year, this team is even more dangerous. When you talk about the Sabres, the conversation always starts with goalie Ryan Miller, one of the best in the business. But you can't forget about Derek Roy and Thomas Vanek, who are both talented playmakers and scorers, especially if Roy is healthy. The Sabres had a successful offseason and filled in some holes on their defense and I think Lindy Ruff will have this team playing at a high level this year. Don't take this as me thinking that the Bruins are coming out and disappointing as defending Stanley Cup Champions. Much of the roster returns, with the exception of the retiring Mark Recchi and free agent defections Micheal Ryder and Tomas Kaberle but the team still had Zdeno Chara, Milan Lucic, Nathan Horton, Patrice Bergeron as well as sound free agent acquisition Joe Corvo to replace Kaberle. But I don't think that Tim Thomas can have as epic of a season he had last year. I think you will see more of Tuukka Rask in net to give Thomas more rest. Not many clubs can look better after losing a pair of guys like Mike Richards and Jeff Carter, who combined for over 120 points last season. But the Flyers finally have stability in goal with the acquisition of Ilya Bryzgalov, who is one of the better netminders in hockey. Byzgalov will immediately improve the Flyers' defense and while the offense took a couple of big hits, they still have James van Riemsdyk and Claude Giroux. After some down years, the Lightning took a big step forward last year under the new team of GM Steve Yzerman and coach Guy Boucher and they came one game short of the Stanley Cup Finals. Steven Stamkos blossomed into one of the elite players in the game and forms an awesome pairing with Martin St. Louis on the Bolts' front line, and second-line center Vincent Lecavlier still has a lot of game. But can Dwayne Rolosson play as well this year at age 42? Nobody loves to swing and miss on big free agent signings than the Rangers and GM Glen Sather. Can Brad Richards, who was the prize of this offseason, reverse the trend? There's certainly a chance, as he and Marion Gaborik look to help form an awesome first line. The team returns its talented blueline pairing of Dan Girardi and Marc Staal as well as the man who may be the best goalie in the NHL, Henrik Lundqvist. I think this is the year the Leafs can get back to the playoffs. They were making a run late in the year as goalie James Reimer continuously stood on his head and was absolutely brilliant at times and if he can repeat that type of play over the course of the year, the Leafs will be in good shape. They made a bunch of solid moves, most notably on the defensive end with Jean-Michael Liles and Cody Franson and star winger Phil Kessel returns. GM Brian Burke is still some pieces short but he has the foundation. The Devils had one of the most absurd seasons last year, starting off awfully and ending on such a hot streak yet still not making the playoffs, especially as missing Zach Parise really hurt. The offense was atrocious due to the aforementioned Parise absence as well as Ilya Kovalchuk not playing to expectations. The Devils' defense is a shell of what it once was and Martin Brodeur is obviously not getting younger. Unless new coach Pete DeBoer turns into Pat Burns, I don't see a playoff appearance but I think they will get close. The Habs have been a consistent playoff team that last four years despite not having any core stars. I'm a huge fan of goalie Carey Price but the defense is relying on a few guys coming back from injuries. This team will miss Roman Hamrlik and James Wisniewski and I think too much pressure will be put on Mike Cammalleri and Tomas Plekanec to score goals for this small-sized club. This team has some star power in goalie Cam Ward and center Eric Staal, both key figures in the Stanley Cup run in 2005-06, but has holes on defense. This team allowed a lot of shots on Ward and while Tomas Kaberle is a solid veteran, I think that he is a downgrade from Joe Corvo. The offense will be strong though with Ward and Jeff Skinner, the excellent rookie from a year ago. I just think the defense will have to take a major step forward for the Canes to make the playoffs. Look for the Isles to take some positive steps towards making the playoffs down the road this year. New York has some nice pieces to work with, most notable in John Tavares as well as Michael Grabner, and if this club stays healthy the improvement will be noticeable. The question is, as always, will Rick DiPietro stay healthy and prove that this 15 year contract was not completely absurd? He has shown the potential in net but he just cannot stay healthy. Dale Tallon is a solid general manager and made some solid moves that will improve Florida (as well as getting the team to the salary cap floor). Brian Campbell and Ed Jovanovski provide a quality top defensive pairing. But there are many questions to be answered. Who will score the goals? Can Jose Theodore stay healthy for the entire season in goal? It is truly great to see hockey back in Winnipeg and the crowds will be raucous at the MTS Centre. However, the team won't be very good. But they do have some promising youngsters like Zach Bogosian and Evander Kane plus a few solid veterans like Dustin Byfuglien and Andrew Ladd. This team is still very young and has some questions in goal. But the major question is...will the fans care? I remember when the Seantors were one of the top teams in the Eastern Conference. But those times are no more. The club still has a couple of good veterans past their prime in Daniel Alfredsson and Jason Spezza but outside of those two the Sens have no offense at all. There is some hope on the horizon in the Canadian capital but the talent on the farm will not be ready to help this club this year. The Canucks had to have been disappointed with how the season ended last year and who wouldn't after how dominant they were in the regular season and fall a win short of the Stanley Cup. Anyways, virtually the same is back again but they will lose Ryan Kesler for the start of the year due to injuries. But the pressure will be on goaltender Roberto Luongo, who got smoked in the Stanley Cup Finals last year and many fans will be clamoring for backup Corey Schneider if Luongo starts off poorly. The Blackhawks made a bunch of sound movies in the offseason that were aimed at getting the team back to the Stanley Cup Finals, bringing in Andrew Brunette, Sean O'Donnell, Dan Carcillo and Jamal Mayers. Jonathan Toews, Patrick Kane, Brent Seabrook, Patrick Sharp and Duncan Keith are clearly the core of the team and a core like that a team will be Cup contenders. Goaltender Corey Crawford needs to continue his improvement. The Kings look ready to break out and seize the Pacific from San Jose. They made a couple of strong moves to bring in Mike Richards and Simon Gagne, and both should team with budding star Anze Kopitar to score a lot of goals. Drew Doughty and Jack Johnson make a very good blueline pairings and goalie Jonathan Quick is coming off an excellent 2010-11. The Sharks made an interesting move with the Wild sending Dany Heatley for Martin Havlat. Havlat is definitely not as talented as a scorer as Heatley, his creative play makes him a nice fit on the talented Sharks frontline. The Sharks are hoping that the slight roster restructure will leave them built better for a Cup run and they certainly may especially if the goaltender Antti Niemi plays well. This veteran laden club may be another year older but this team has showed that they are not about to slow yet. The main core of Pavel Datsyuk, Henrik Zetterberg, Johan Franzen, and Nicklas Lidstrom that won them a title four years back is still intact and still one of the best cores in the NHL. The Wings also made a couple of solid moves to upgrade their defense in Mike Commodore and Ian White. And while Jimmy Howard could improve his play, he has become a solid goalie. This is a young and talented team under the Arch that made a couple of solid veteran acquistions in Jason Arnott and Jamie Langenbrunner that should give this club the leadership it needs. They have a nice collection of talented wingers that seem capable of piling up goals. If goalie Jaroslav Halak can improve on his solid year last year, this team could surprise many in the playoffs. The Ducks may have the best line in hockey in Ryan Getzlaf, Corey Perry and Bobby Ryan as all three are coming off very strong years. They also got a win in that 41 year old Teemu Selanne chose to come back for one final season. Selanne may be an old man but he still can skate, having scored 31 goals last season. Goalie Jonas Hiller is extremely talented and is capable of being amongst the upper echelon of goaltenders if he can just stay healthy but he reported to training camp 100%. Could we see the shift towards an offensive minded attack in St. Paul? The moves that the team made seem to figure that that may be the case. The Wild made a couple of nice upgrade on offense by trading with San Jose for Dany Heatley and Devin Setoguchi, guys who know their way around the net. And considering the fact that they still have the steady as gravy Nicklas Backstrom in net as well as the underrated Mikko Koivu, this team will just make the playoffs in a loaded West. Led by one of the most underrated coaches in the NHL, Barry Trotz, the Predators epitomize the team game. This defensive focused club wins games by not allowing goals, rather than scoring them. The defensive lines are solid, led by star Shea Weber, and goalie Pekka Rinne is a tremendous goalie. But the key for the Preds will be scoring goals and I'm not sold that they can hang with really talented offenses. The Jackets are making an aggressive push towards the playoffs judging by what they did in the offseason. They brought in Jeff Carter and James Wisniewski to give a mediocre offense some more life. The defense was solid last year but year in and year out, this team will rely on goalie Steve Mason, who has certainly had his ups and downs in the Ohio capital. This is a Colorado club that has on the pressure turned on high on them to make the playoffs and there are pieces in place. Matt Duschene and Paul Statsny are a couple of talented centers that have a lot of potential, especially the 20 year old Duschene. The pressure will be on the wings but their defensive units will be less offensive (that's an awful line) with the departue of John-Michael Liles. And the pressure will be on the newly acquired Semyon Varlamov in net. This is a team that is getting up there in age and the team did not make many changes in the offseason after missing the playoffs last season so I think they are trending downwards. There are rumors that star Jerome Iginla got be troubled for prospects or picks. The team will need Iginla, if he is not trade, Olli Jokinen and Alex Tanguay to continue to perform well if this club wants to contend. Goaltender Miikka Kiprusoff can carry this team to the playoffs but he is not getting any younger, set to turn 35 this month. I would be really down on this team if they didn't have a such coach in Dave Tippett. This Coyotes club suffered from some noteworthy losses such as Ed Jovanovski and Scottie Upshall but the departure of goalie Ilya Bryzgalov is a killer as he has carried this club to the playoffs the last two years. If the team is expecting his replacement, Mike Smith, to perform like Bryzagalov they are insane. The ownership questions and the lack of money have resulted in the downfall of this onetime powerhouse. Star Brad Richards has not been adequately replaced, I like Michael Ryder but they can't expect him to perform as Richards-like levels. The talented Loui Eriksson has star potential but needs more help on offense. The defense is mediocre and they desperately need netminder Kari Lehtonen to stay healthy for once. Hope is springing eternal in the Alberta captital as fans are excited about the last two top picks, Taylor Hall and Ryan Nugent-Hopkins being the picks in 2010 and 2011 respectively, and both look to be stars on their front line for years. But not this year. The West is very deep, as usual, and unless the talent develops right away, it will be another poor finish in the standings. But the team could be fun to watch.